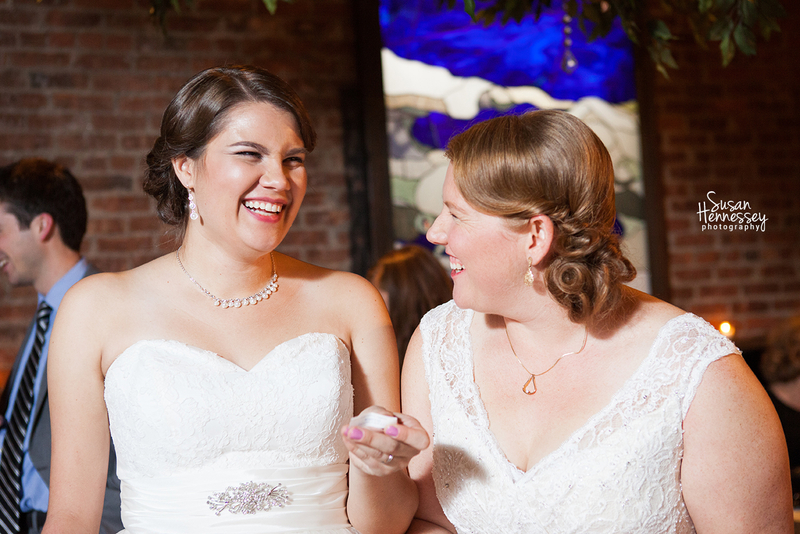 “A few months ago, I had the pleasure of photographing Elissa and Kimberly’s sweet wedding in the heart of New York. 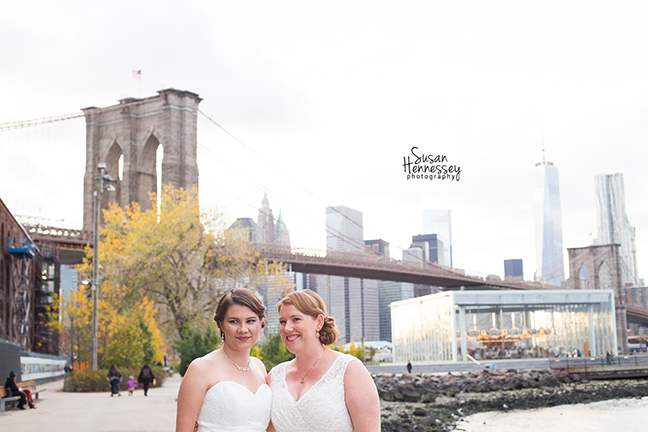 Their Brooklyn Bridge Park wedding is one of my favorites! 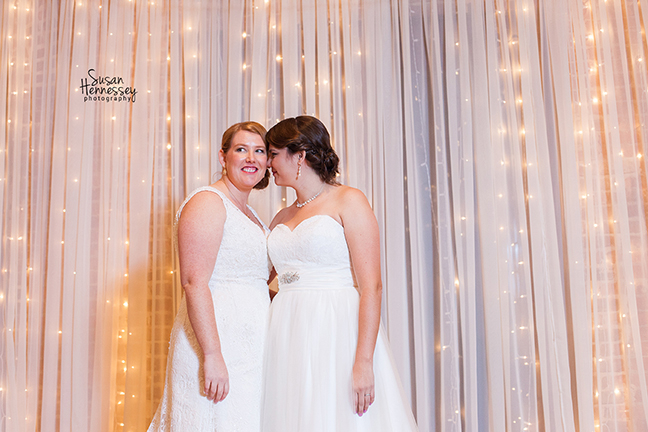 Kim and Elissa were such a fantastic couple and I really enjoyed spending the day with them! Their chemistry was obvious and everyone who walked by couldn’t help but congratulate them. 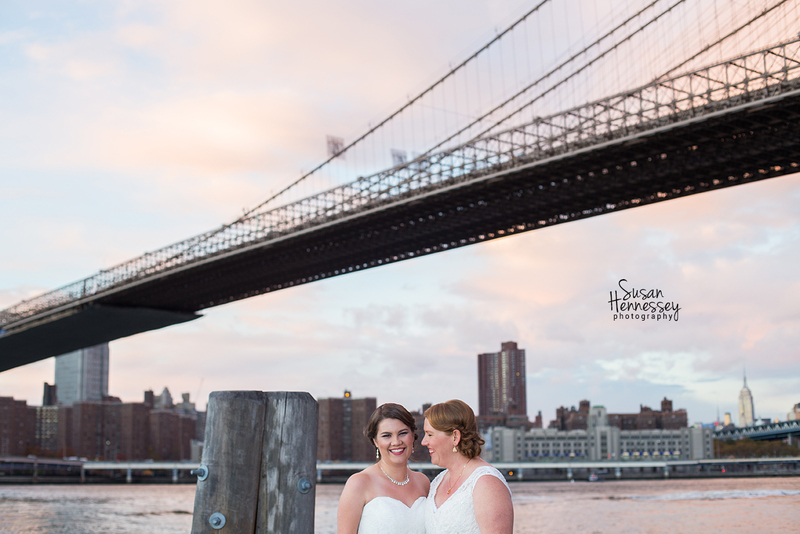 We started the celebration in the Brooklyn Bridge Park right at the sunset, just as the sky was turning beautiful shades of blue, pink and purple. 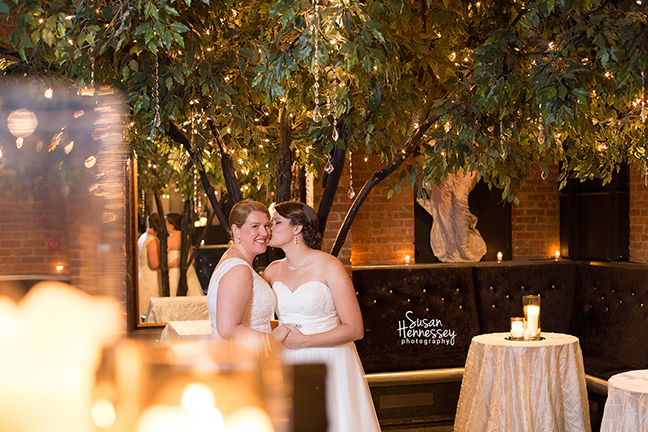 It created a perfect backdrop! 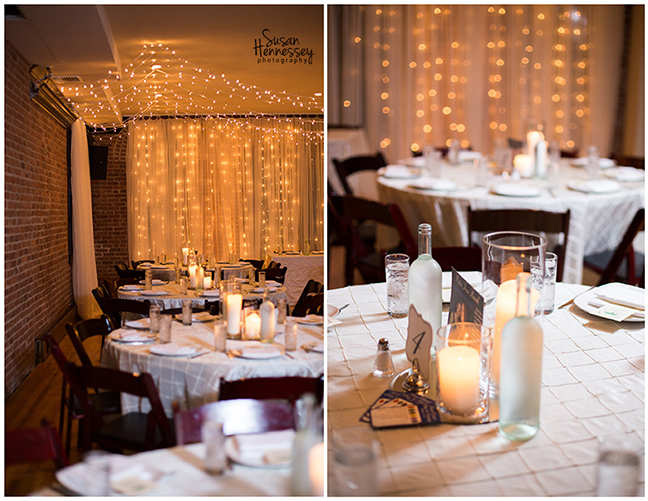 After the ceremony concluded, the room was transformed into their reception. I loved so many of their details, including adorable table numbers – each one commemorated a park they’d visited throughout their romance, including NYC parks, Love Park, and the National Mall. They even provided cute games of Trivial Pursuit, which were such a fun way to entertain their guests! After the room was transformed, it was time to feast and listen to all their sweet toasts. Their friends and family’s gushed with stories – some touching, some funny – and it was a true honor to hear how much everyone loved these two together! After dinner, it was time for cake cutting! 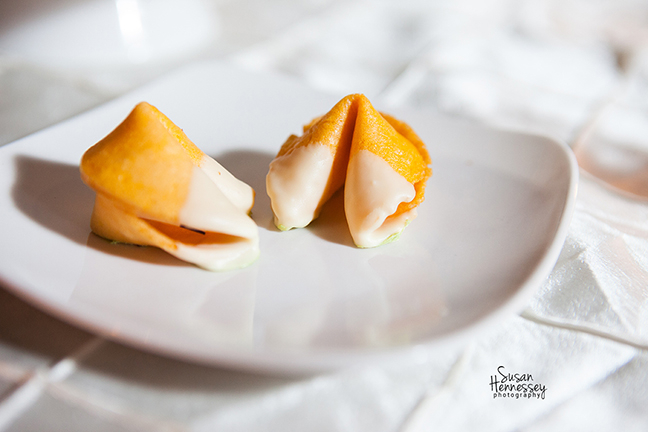 I loved how they were given Chinese fortune cookies. I only wished I knew what their fortunes read!